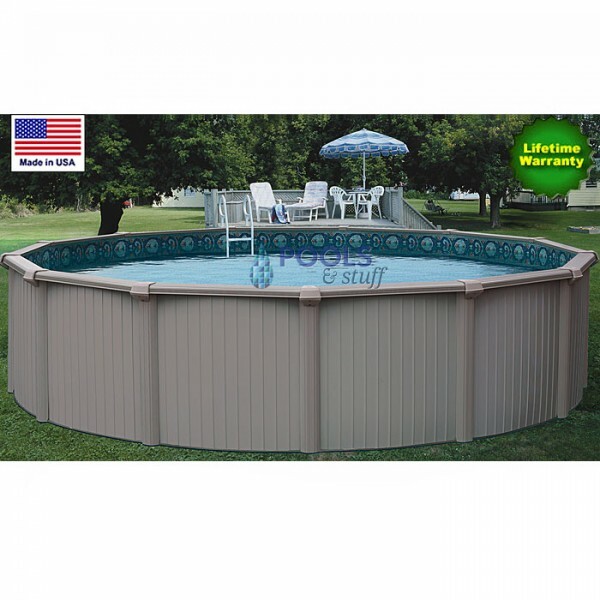 This top of the line pool features extra-heavy gauge extruded aluminum for unsurpassed strength and durability. 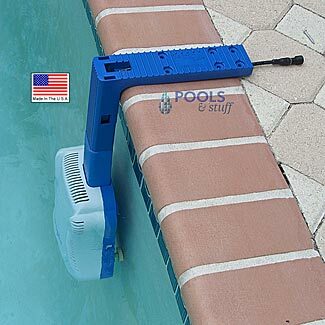 Bermuda has taken quality pool construction to the next level with the all aluminum components. Because of its extra-heavy gauge aluminum parts and interlocking walls it is over 50% stronger than conventional steel above ground pools. In addition to the super strength of its aluminum parts, Bermuda is finished with excellent craftsmanship resulting in a pool that is as beautiful to look at as it is super strong. The fit and finish on this pool are unmatched by any other. 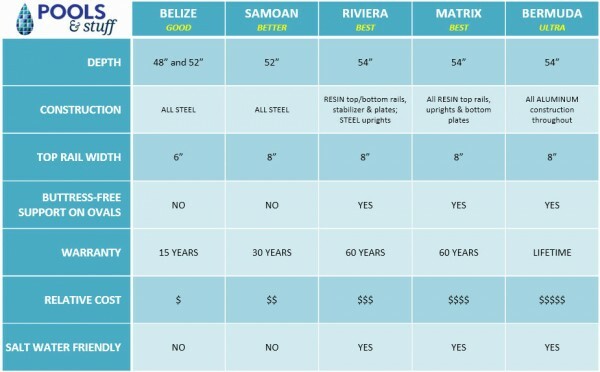 Bermuda’s components are made from aluminum that will not rust or corrode like steel. After extrusion, all aluminum panels are powder coated with a beautiful enamel that adds a high gloss luster to its finish as well as further protecting the aluminum from corrosion. All Bermuda’s components are powder coated to insure a beautiful finish that will last for many seasons. From the bottom rails that contact the ground to the rugged top seat, your Bermuda pool is impervious to rust and corrosion. Bermuda’s interlocking wall sections make it much easier to install than most convention above ground pools. Because of the superior strength and corrosion protection the pool can also be installed as a semi-inground pool, sunk into the ground a maximum of 26" deep. 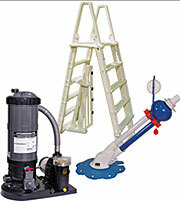 Bermuda pools come with a standard skimmer and return fitting. See our quality features for details. Bermuda is for the customer that wants only the best in quality, durability and strength. 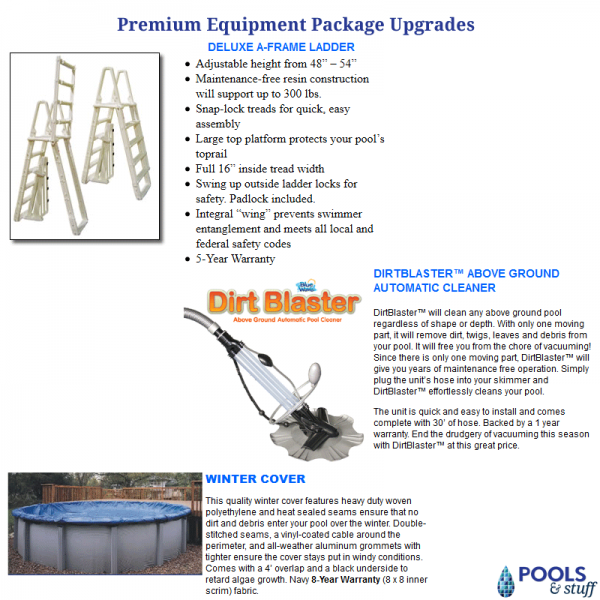 Because of its outstanding features, the pool is backed by a LIFETIME WARRANTY. 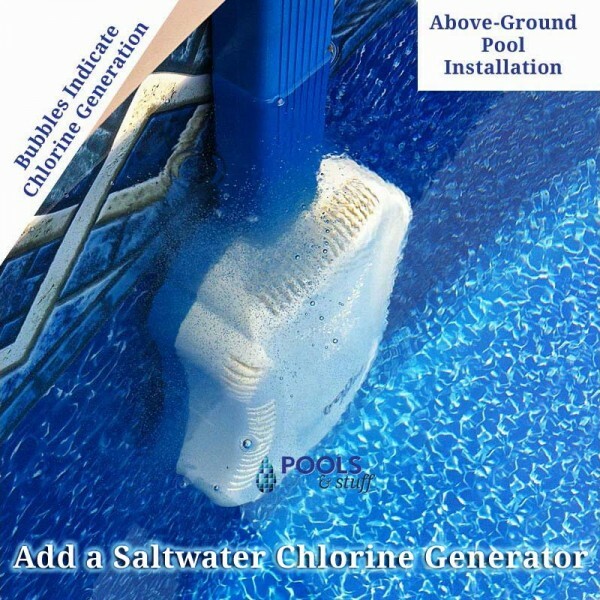 An installation manual is included with each pool. 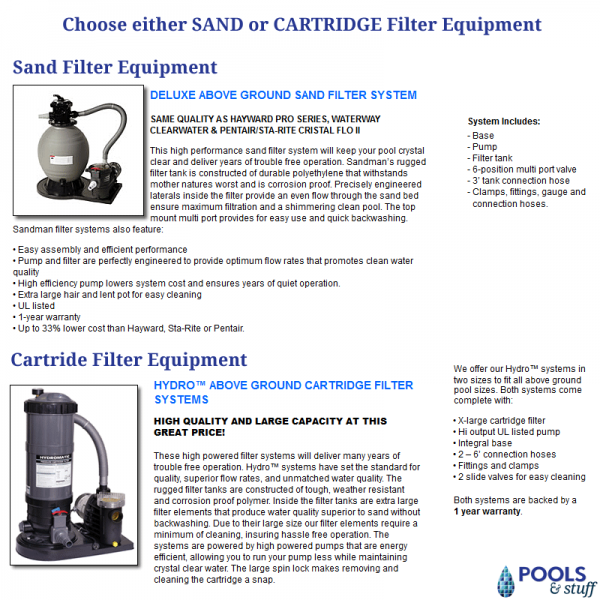 "More Power" Automatic Upgrade: You always get our larger filter and a 1.5 Hp Pump (compare to a 1 Hp). 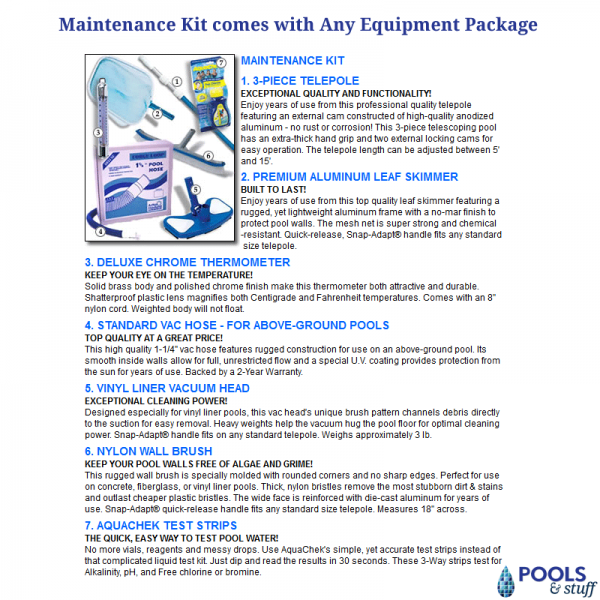 Better water filtration and power for maintaining your pool. 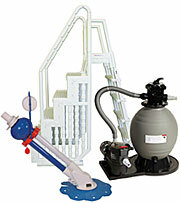 Features Hydro™ Cartridge Filter System. Comes with 120 sq. 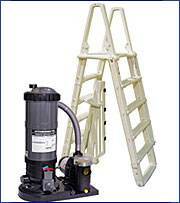 ft. Filter w/ 1-1/2 hp Pump for max. power. 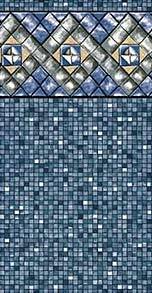 Available with 90 sq. 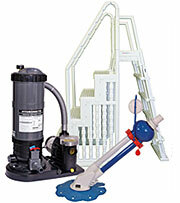 ft. Filter w/1-hp Pump for pools up to 24’ Rnd. 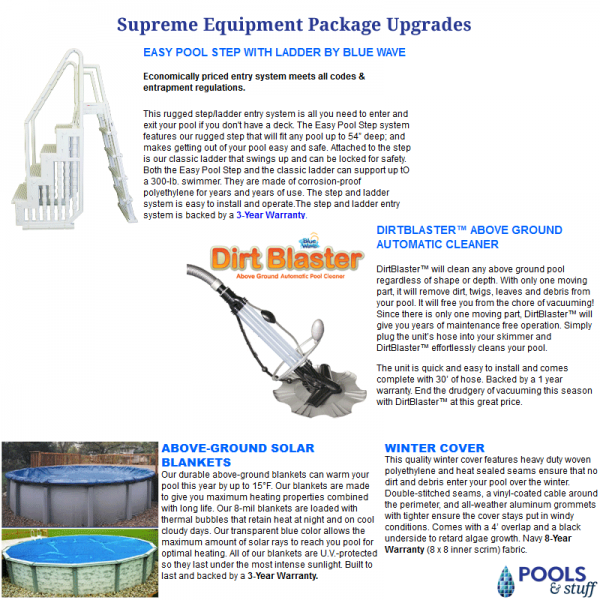 A SMALL INVESTMENT THAT WILL ADD YEARS TO THE LIFE OF YOUR ABOVE-GROUND LINER! 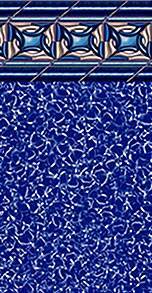 Make sure the place pool cove around the bottom, inside circumference of your pool wall before installing your new liner. 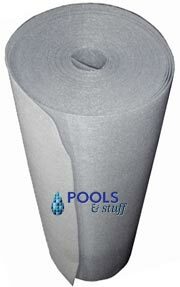 Pool cove will help prevent excessive stretching and premature wearing, adding years to the life of your new liner. 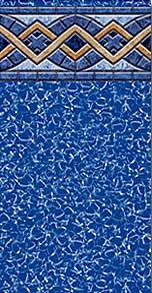 Peel & Stick pool cove has an adhesive backing for quick, easy installation. 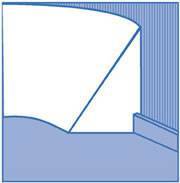 Create a smooth wall surface with this closed-cell 1/8” foam padding that helps to prevent rust, corrosion, and other wall degradation from puncturing your liner. 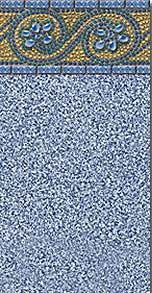 Help keep your liner like-new for years to come with wall foam! SUPER STRONG FLOOR PAD PROTECTS LINERS FROM ROCKS, ROOTS, AND GLASS! 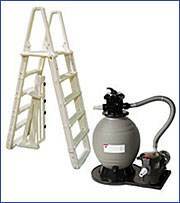 Choose from Propane or Natural Gas. 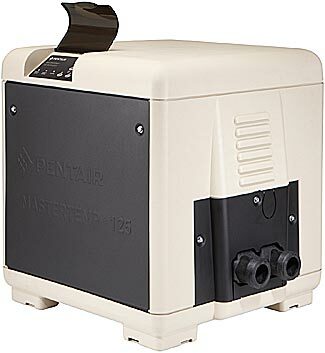 The Pentair Mastertemp 125 is suitable for Above-Ground pools up 15,000 gallons (about a 24’ round or 15’ x 30’ oval). 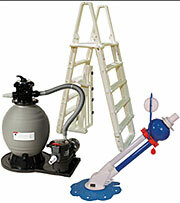 Save more with our discounted prices and a Free Floating Dispenser when you order your chemicals with your new pool. Free Liner! 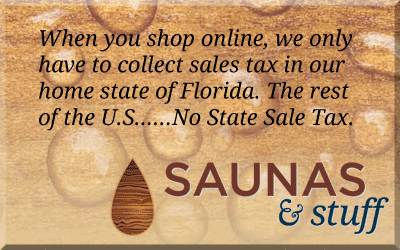 Free Shipping - 48 States. 48 states w/ 18 wheel tractor trailer w/ a lift-gate.